From birth to old age, our bodies never stop evolving and adjusting to new lifestyles and physiological changes. This is an inevitable process. As we get older, the natural age-related changes include things like reduced bone density, loss of muscle mass and an increase in body fat (often where we don’t want it), and stiffness in our joints, not to mention the new stresses and compensation that our body places on other areas in order to mitigate and manage the changes as they happen.These changes can also affect mobility, balance, coordination which can increase the risk of falling and the consequential breaking of bones, which tend also to be more brittle and susceptible in older age. In addition to this, as we get older we also have to live with the cumulative effect of what we have done to our bodies throughout our lives, which can lead to enhanced risk of illnesses such as heart disease, high blood pressure, stroke, diabetes, arthritis and various lung diseases also.All this can have a dramatic impact on physical independence, not to mention the emotional and psychological implications that come with it not just for the patient, but frequently for the close friends and family also. This can be made even more difficult by distance and whether the elderly patient is still living at home or elsewhere. Ongoing physiotherapy can make a tremendous difference to quality of life. It cannot stop the natural ageing process, but it can help to reduce the impact that ageing has on the body, treating and educating on how to adapt existing or new environments to suit the individuals physical and emotional capabilities. This is where home physiotherapy can make a huge difference in effecting long term behaviour changes leading to successful physical outcomes.Physiotherapy for the Elderly focusses as much on teaching the patient (and care home staff where relevant) to be active, identifying those factors in the environment that delay (or worse, prevent) progress from taking place. Physiotherapy will also focus on a series of exercises designed to maximise strength, mobility, coordination, as well treating any specific complaints or injury that present in the normal course of life.The Physiotherapist will not just focus on the elderly patient, but also, where relevant and with permission, interact with the close family, ensuring that they are a part of the process and can support. 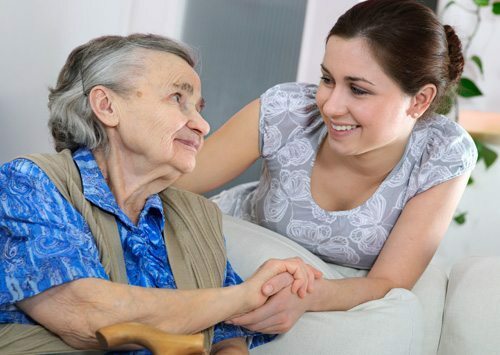 The more committed the environment, the higher the chances of short and long-term success.A physiotherapist working with an elderly patient almost becomes an extension of the family, with a frequent eye on their health and wellbeing, it is much easier to identify early problems and deal with them proactively, rather than wait until a problem has probably manifested which then becomes more challenging to overcome. Firstly, we will come to the patient, take a full medical history, understand what challenges are being faced and assess the broader environment within that context to quickly identify the enablers and barriers to a successful outcome. We will also discuss the patient and family (where relevant) expectations, and every case is different, and what one patient desires almost never matches what another wants. We will then form a treatment and activity plan which will include exercises to do outside of physiotherapy sessions, but designed to be integrated into everyday life. After all, the most successful outcomes are as a result of everyone 100% committed to the same end goal. 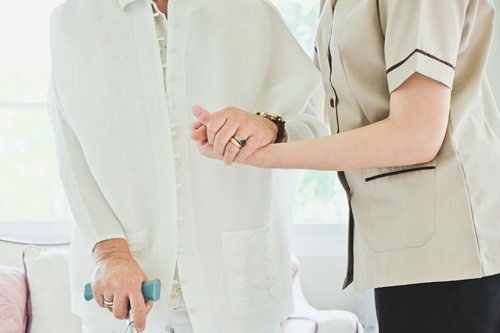 We then report frequently on the patient to the patient and the family (again where relevant), and in those cases where patients reside in a care home, we will interface with care home staff to ensure that they are fully a part of the process and can therefore support in everyday life also. 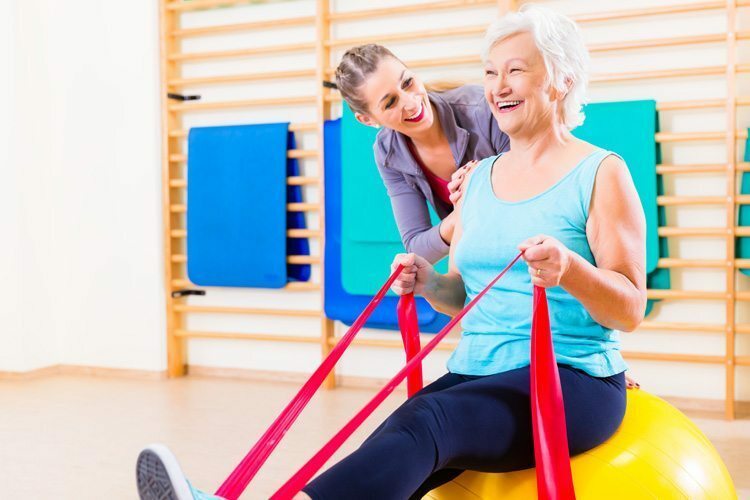 Don’t give up… progressive exercising with realistic goals can rehabilitate function quickly and improve quality of life greatly. Aches and pain are unfortunately part of the aging process but need to be dealt with and not ignored or brushed off as they can easily prevent movement and restrict activities if not addressed.